This innovative top shapes and slims the body! 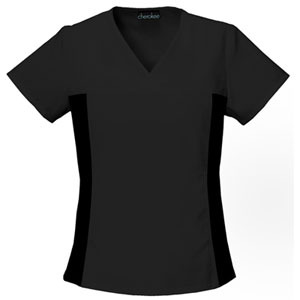 V-neckline, front and back yoke with soft and stretchy side panels in contrast color knit. Two hidden pockets. Center back length: 24 1/2"